On the outline map to the right, Alaska is shown in red. Its relative size, and its location with respect to other states, are displayed accurately. The State of Alaska is bounded by the Arctic Ocean on the north, by the Gulf of Alaska and the Pacific Ocean on the south, by the Canadian provinces of Yukon and British Columbia on the east, and by the Bering Sea and Russia on the west. Alaska is the largest state in the United States, with a land area of 571,951 square miles (1,481,353 square kilometers). This Alaska map site features road maps, topographical maps, and relief maps of Alaska. The detailed, scrollable road map displays Alaska counties, cities, and towns as well as Alaska state highways. The pannable, scalable Alaska street map can be zoomed in to show local streets and detailed imagery. to view a scalable Alaska road map. The detailed Alaska map and the regional Alaska map display cities, roads, rivers, and lakes as well as terrain features. The detailed map shows only the State of Alaska, while the regional map shows Alaska and the surrounding region. Alaska's capital city is Juneau. Other major cities found on the Alaska map include Anchorage and Fairbanks. In 2005, the population of Alaska was estimated at 663,253, which is about 1.2 people per square mile. In 2010, Alaska's population rose to 710,231 people. Juneau still relies on air and water transportation service. Access roads to Juneau have often been proposed but some people feel that an access road would compromise the Alaskan wilderness environment. The Alaska Marine Highway System and the Alcan Highway (which links Alaska to western Canada and the lower 48 states) have helped to make Alaska more accessible to visitors. Furthermore, the roadway adjoining the Trans-Alaska pipeline has made it possible to drive all the way to the Arctic Ocean shoreline in northern Alaska. However, this 414-mile gravel road is only passable during certain seasons, and most auto rental companies will not permit their vehicles to be driven on this road. Other roads and highways are available as well, but many can only be used during the Summer months. Cruise ships regularly visit coastal Alaska, where they provide views of the glaciers. 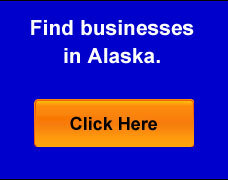 For more Alaska travel and tourism information, visit the official Alaska tourism site and Alaska Atlas. Alaska is a land of contrasts composed of breathtaking scenery and widely varying topography. The state of Alaska contains most of the active volcanoes in the United States and the eleven highest mountains in North America. Alaska's fourteen mountain ranges include the Alaska Range which is home to Mt. McKinley, the Aleutian Range in the southwest which forms a chain of islands in the Pacific, and the St. Elias Range which contains the highest coastal mountains in the world. Alaska also contains more than half of the world's glaciers and a quarter of all the inland water of the United States. Almost a third of Alaska lies north of the Arctic Circle and four percent of the state is covered by grassy, treeless ice fields known as tundra. This online Alaska reference map shows major cities, roads, railroads, and physical features in Alaska. Several map publishing companies offer printed maps of Alaska. For example, Omni Resources offers several maps of Alaska that feature points of interest, airports, and parks, as well as selected local attractions and insets of major Alaska cities. Alaska-Map.org Editor, State Maps, PO Box 775, Barnegat, NJ 08005.